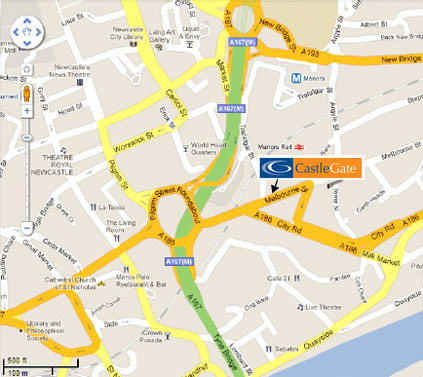 Action Language is situated within the CastleGate in the centre of Newcastle upon Tyne, on the corner of Melbourne Street and Trafalgar Street. There is ample parking in the adjacent NCP and Quayside car parks. Central Station is 10 minutes walk away and Manors Metro station is less than 5 minutes walk. 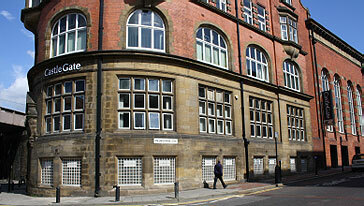 The building is also within walking distance of Northumberland Street and Newcastle Quayside. On arrival please make your way into the CastleGate main entrance and ask at reception for a member of Action Language to see you. Please note the office is not always staffed so to avoid disappointment please contact us to make an appointment. 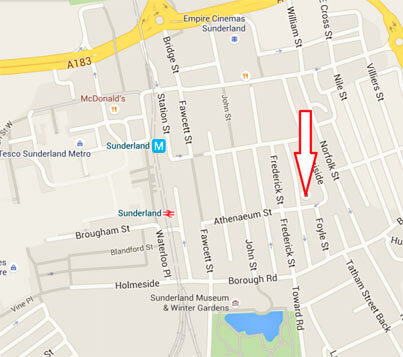 The Action Language office and classrooms are based at The Place on Athenaeum Street, Sunderland. Please contact us to make an appointment as the office is not always staffed. The City Centre train, Metro and Bus Stations are within a few minutes walk of The Place. 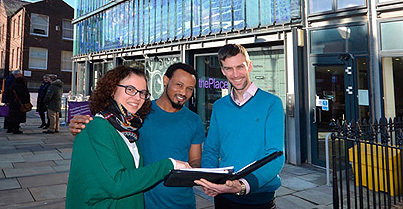 The building is also within easy walking distance of the Bridges Shopping Centre and City Centre. There is also on-street metre parking surrounding The Place.